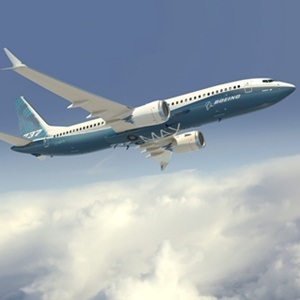 Boeing's disruptions to its 737 Max deliveries will likely last longer than initially expected, Bank of America Merrill Lynch analyst Ronald Epstein wrote in a note Monday, downgrading the stock to neutral from buy. "Regaining the Boeing 737 Max airworthiness certificate is not just a simple software fix," Epstein warned in a client note. The Bank of America Merrill Lynch (BofAML) analyst also slashed his 12-month price target to $420 from $480, compared with the average price target of $432, according to data compiled by Bloomberg. Such a delay means an inventory buildup that won’t start recovering until 2020, and may also "lower margins due to penalties owed to customers, weaker negotiating position with airlines as airlines consider cancellations, and operational inefficiencies from the production disruption," he cautioned. "The company thinks it will take longer than expected for regulators to end the grounding of the 737 Max. Lower output won’t change profit and loss because without deliveries, Boeing books neither. Our analysis shows the cut positions Boeing to generate zero cash in 2019 if deliveries don’t resume, protecting its financial health and ratings." – George Ferguson.